After being introduced to NULS in late 2017 Josh began following the community activities and slowly became more and more involved as time grew. Initially he spent his time within Telegram and Reddit (under a pseudonym) helping other members understand both the white and yellow papers, and the technical workings behind them. Since being one of the initial members to start CCC by invite from core NULS along with Berzeck and Moshe, Josh has been heavily invested in ensuring CCC is in a place it can grow steadily and equally. Josh has since been working for CCC, core NULS and the NULS community as a part time developer. Josh is currently working on the new nuls.io website which is being designed by Claudio (CCC member). The new website will be a huge design improvement, along with a lot more content, information, targeting audience, and room for growth. 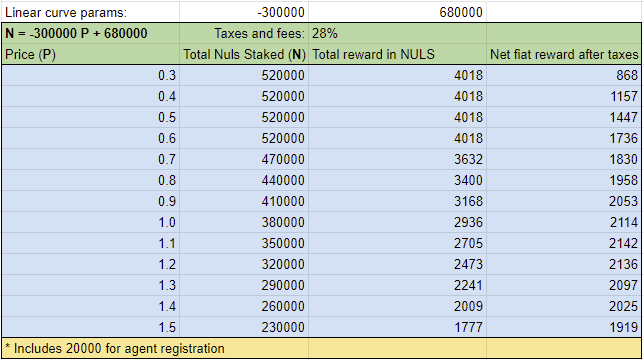 As a part time developer for CCC Josh is receiving a little around 1,653 NULS per month, considering 40% tax rate in United Kingdom plus 8-9% bank fees then the net amount comes to 843 NULS per month, and this is not considering that the amount of NULS staked tend to increase of time which will further decrease the monthly NULS rewards. Where P is the average price of NULS in the period and N the total amount of NULS staked. This proposal is to request your vote to support the staked amount increase in my node. Again, the amount staked belongs to the community, but allows my node to earn more rewards to help compensate me for Josh’s part time work.